On September 13, Bloomberg Government and the Bloomberg Black Professional Community held a breakfast and discussion moderated by Bloomberg Law’s Seth Stern and Lydia Beyoud with members of congress, policy experts and corporate executives on the future of finance and technology innovation and policy. Over the years, technological innovation has transformed the way financial products and services are delivered to consumers. As banking continues to evolve into an online experience, and as non-depository financial technology (“FinTech”) companies continue to emerge. This conversation discussed how should consumer laws keep pace with innovation. Watch the video of panel 1 of 2 below. Addressing financial inclusion and access to capital presents a complex set of social, business and policy issues. The panelists offered their perspectives on the inter relatedness of those issues from an academic, economic, business and policy standpoint, including comparisons from across different U.S. minority communities and lessons learned from international financial and regulatory approaches. 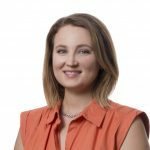 Lydia Beyoud is a fintech and financial services reporter with Bloomberg Law. She previously covered the Federal Communications Commission and the tech and telecom industry as well as the Internal Revenue Service for Bloomberg Law. She has a master’s degree in journalism from American University’s School of Communications and a bachelor’s degree in international relations from Portland State University. Seth Stern is a deputy news director at Bloomberg BNA, where he has overseen financial news coverage since 2015. He previously covered the Justice Department for Bloomberg News and legal affairs in Congress and the Supreme Court for Congressional Quarterly. Mr. Stern began his journalism career at the Christian Science Monitor, where he reported on the aftermath of the 9/11 attacks and on the U.S. military during the 2003 Iraq War. He co-authored a 2010 biography of U.S. Supreme Court Justice William J. Brennan Jr. (Justice Brennan: Liberal Champion) described by a Washington Post reviewer as “perhaps the best judicial biography ever written.” Mr. Stern is a graduate of Cornell University’s School of Industrial and Labor Relations, the Harvard Kennedy School and Harvard Law School. Chris Brummer is the Agnes N. Williams Research Professor and Director of Georgetown's Institute of International Economic Law. 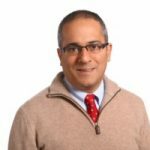 In this capacity, he oversees the school's highly regarded Fintech Week program, which brings policymakers, regulators and market participants to Washington discuss cutting edge developments in the sector. Professor Brummer recently concluded a three year term as a member of the National Adjudicatory Council of FINRA, an organization empowered by Congress to regulate the securities industry, where his work was praised as making a significant contribution to advancing investor protection. He was then nominated twice by President Obama to serve as a Commissioner on the Commodity Futures Trading Commission, and received unanimous approval for the post by the Senate Agriculture Committee prior to the 2017 election. The nomination was withdrawn by President Trump upon taking office. Chris earned his J.D. from Columbia Law School and holds a Ph.D. from the University of Chicago. Before becoming a professor, he practiced law in the New York and London offices of Cravath, Swaine &Moore LLP. He has also served as a Senior Fellow at the Milken Institute and was awarded the C. Boyden Gray Fellowship for Global Finance and Growth at the Atlantic Council, where he launched the think tank's Transatlantic Finance Initiative. Makada Henry-Nickie is a David M. Rubenstein fellow in Governance Studies at the Brookings Institution. Throughout her career her research has examined ways to expand equitable access to responsible credit and she has recommended policies that advance inclusive economic opportunities for disadvantaged families and low-income communities. As such, she is part of Brookings’ Race, Place, and Inclusion Initiative, which currently focuses on improving the economic mobility prospects for young men of color, and bringing marginalized poor and low-income communities back into the economic mainstream. 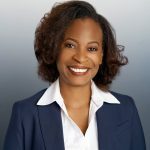 Prior to joining Brookings, Makada was a senior analyst with Consumer Financial Protection Bureau (CFPB), where she advised on consumer financial protection and fair lending issues arising in financial institution regulation, enforcement matters, and rulemakings. Before CFPB, Makada worked as an economist with Brimmer & Company, where she consulted and advised on a cross-section of public policy issues including employment growth, taxation, and general economic policies. Makada previously held senior positions in nonprofit organizations where she worked to develop innovative programs and raise capital to support affordable housing for teen mothers involved in the foster care system and expand access to capital for small businesses and affordable housing developers in the Washington, D.C. metropolitan area. She holds a Ph.D. in Urban Economics and an M.A. in Monetary and Fiscal Policy from Howard University. Makada earned a B.A. in Economics from Hunter College—City University of New York. 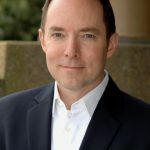 Jarrod currently serves as the Director of Legislative and Regulatory Affairs for Credit Karma and as an advisor to a broad range of financial services clients in Washington. 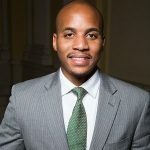 Prior to joining Credit Karma, Jarrod was policy counsel at Tesla, Inc. and SolarCity and also previously served as Senior Counsel to the House Committee on Financial Services' Subcommittee on Financial Institutions and Consumer Credit as well as the Subcommittee on Oversight and Investigations. Jarrod began his career as an associate in Troutman Sanders' Consumer Finance Litigation and Regulatory Compliance group. 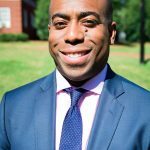 Jarrod is a graduate of Morehouse College, the Harvard University Kennedy School of Government, and the New York University School of Law. Congressman Gregory W. Meeks, now in his tenth term, has devoted his energy and skill to serving one of the most diverse constituencies in the nation. His efforts on behalf of his district, New York City and State, and the nation as a whole have earned Rep. Meeks the respect of his constituents, New Yorkers, and Democrats and Republicans alike. As a fervent supporter of the Affordable Care Act enacted under President Obama, Congressman Meeks believes that it should be enhanced. Congressman Meeks is a senior member of the House Financial Services Committee, having previously served as a Dodd-Frank conferee. Key provisions in the Wall Street reform law – including its stress testing requirement, the creation of the Office of Minority and Women Inclusion at the financial regulatory agencies, and the requirement that U.S. public companies who use natural resources to report their due diligence in stamping out conflict minerals– were authored by Congressman Meeks and remain in the law today. Rep. Meeks introduced a bill that would require government contractors and public companies to submit data on the racial, ethnic, and gender composition of their corporate boards. 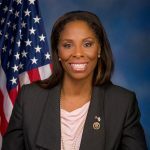 Congresswoman Stacey E. Plaskett represents the United States Virgin Islands’ at-large Congressional District in the United States House of Representatives. Stacey currently serves on the House Transportation and Infrastructure Committee and the House Committee on Agriculture. She is also a member of the House Committee on Oversight and Government Reform, where she serves as Ranking Member on the Subcommittee on the Interior, Energy, and Environment. She is also a member of the Congressional Black Caucus, the New Democrat Coalition, and the Congressional Caribbean Caucus. As a member of the Transportation and Infrastructure Committee, Stacey pushes for improvements to critical infrastructure in the U.S. Virgin Islands and the insular areas, as well as the development of economically depressed rural and urban areas. On the committee, Stacey also works to ensure the federal government is responsive to the needs of Americans in disaster-stricken areas. As a member of the Committee on Agriculture, Stacey works to ensure the Virgin Islands and other rural communities receive adequate funding for necessary programs aimed at rural development and programs that provide needed supplemental assistance to hardworking families. As a member of the Committee on Oversight and Government Reform, Stacey employs her skills as a former prosecutor to ensure accountability and transparency both within government and private sector entities whose operations impact the Virgin Islands community and communities across America. Plaskett is a staunch advocate for poverty reduction and equal voting rights and is well versed in Caribbean economic development and public-private partnerships for growing the economies of developing areas. She is a graduate of Choate Rosemary Hall, earned her undergraduate degree from Georgetown University, and her Juris Doctorate from American University’s Washington College of Law. Emanuel Cleaver, II is now serving his sixth term representing Missouri’s Fifth Congressional District, the home district of President Harry Truman. 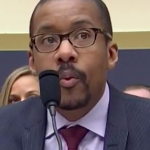 He is a member of the exclusive House Financial Services Committee, the Ranking Member of the Subcommittee on Housing and Insurance, and also a Senior Whip of the Democratic Caucus. Having served for twelve years on the city council of Missouri’s largest municipality, Kansas City, Cleaver was elected as the city’s first African American Mayor in 1991. During his eight year stint in the Office of the Mayor, Cleaver distinguished himself as an economic development activist and an unapologetic redevelopment craftsman. He and the City Council brought a number of major corporations to the city, including TransAmerica, Harley Davidson, and Citi Corp. Cleaver also led the effort, after a forty year delay, to build the South Midtown Roadway. Upon completion of this major thoroughfare, he proposed a new name: The Bruce R. Watkins Roadway. Additionally, his municipal stewardship includes the 18th and Vine Redevelopment, a new American Royal, the establishment of a Family Division of the Municipal Court, and the reconstruction and beautification of Brush Creek. Cleaver has received five honorary Doctoral Degrees augmented by a bachelor’s degree from Prairie View A&M, and a Master’s from St. Paul's School of Theology of Kansas City. In 2009, Cleaver, with a multitude of accomplishments both locally and Congressionally, introduced the most ambitious project of his political career—the creation of a Green Impact Zone. This zone, consisting of 150 blocks of declining urban core, has received approximately $125 million dollars in American Recovery and Reinvestment funds. The Green Impact Zone is aimed at making this high crime area the environmentally greenest piece of urban geography in the world. This project includes rebuilding Troost Avenue, rehabbing bridges, curbs and sidewalks, home weatherization, smart grid technology in hundreds of homes, and most importantly, hundreds of badly needed jobs for Green Zone residents. During the 112th Congress, Cleaver was unanimously elected the 20th chair of the Congressional Black Caucus. Cleaver, a native of Texas, is married to the former Dianne Donaldson. They have made Kansas City home for themselves and their four children.